(from left) Wren Heiligenstein, Mattie Sullivan, and Joseph Petermeyer are pictured prior to boarding their flight to London, England for the Illinois Ambassadors of Music European Tour. 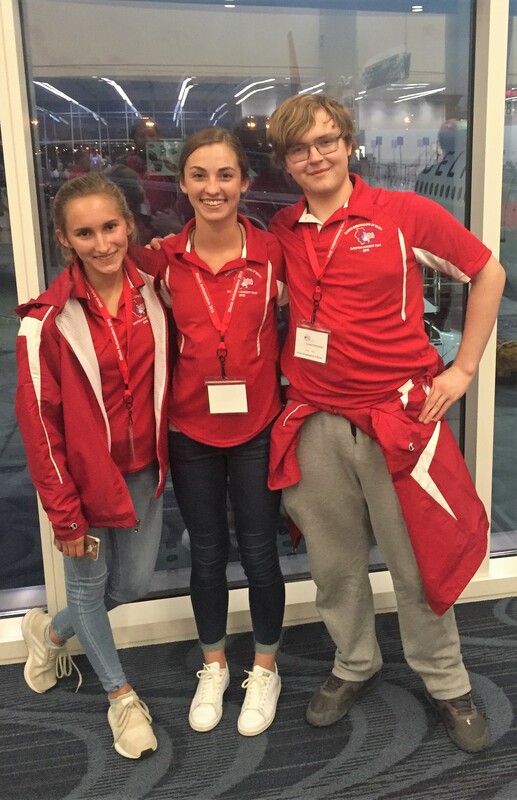 During the sixteen-day trip, the students, with Director of Bands Mr. Blake Korte and drum line instructor Mr. Matt Murphy, will visit seven countries. We pray they enjoy a blessed trip!